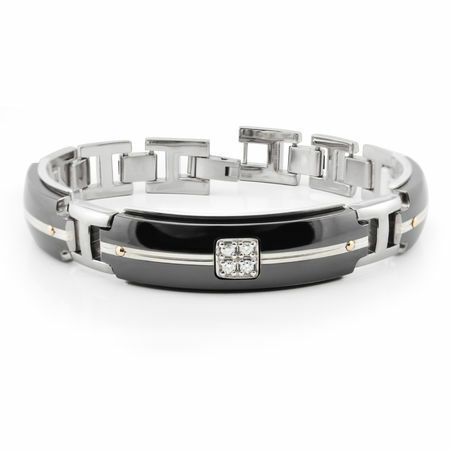 As part of the ROYALE Collection by Edward Mirell this is a fabulous men's bracelet. 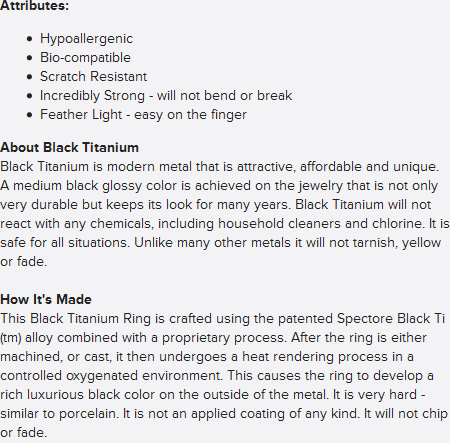 Made of the patented Black Ti titanium and combining it with sterling silver, 18K yellow gold accents and round brilliant diamonds. Truly a unique piece of modern men's jewelry! Measures a nice 14mm wide and 8" long. We recommend pairing this bracelet with the matching ROYALE ring or cuff links.